Leafy avenues are an asset – but they require some looking after. 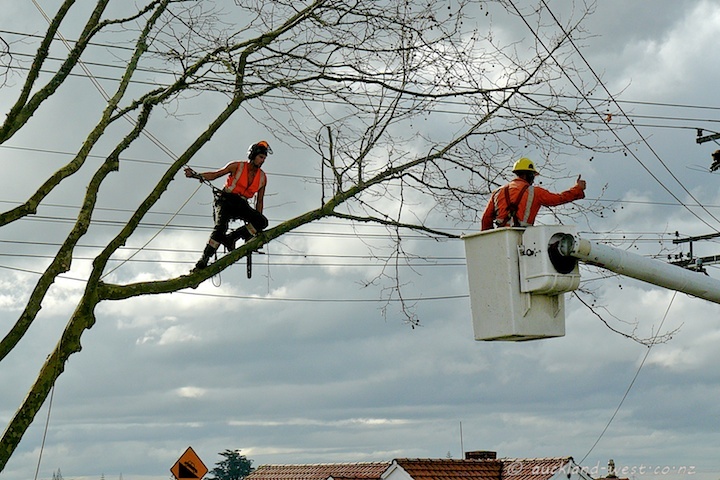 As rain clouds threaten, the arborists of Treescapes do the necessary maintenance of the plane trees in Seabrook Avenue, New Lynn, removing dead branches, shaping the trees and reducing the tangle of past growth. Careful maneuvering is required to get between the branches and to avoid the power lines. The men in their abseiling gear are fun to watch.